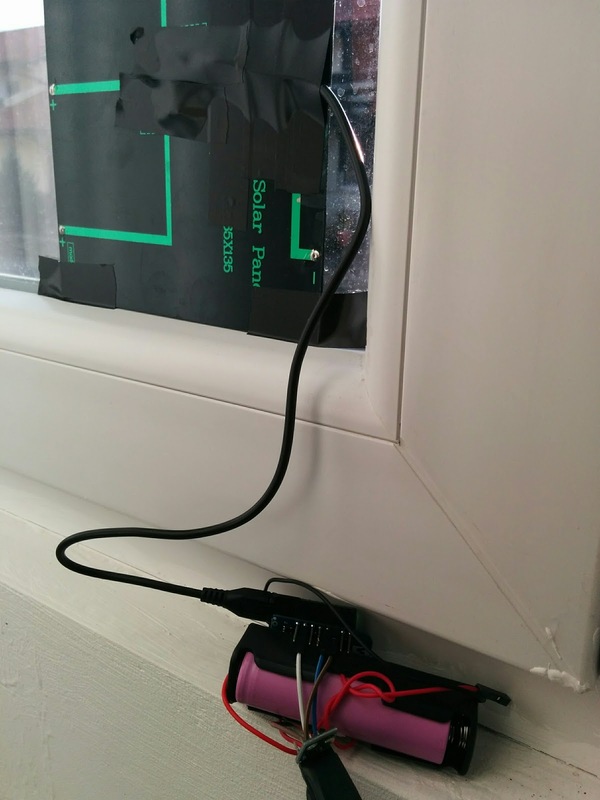 The max charge of that cell is 4.2v - by overcharging it you risk a nice bonfire on your window. I don't think that is overcharging since the charger stops charging the battery when the LED is green. Voltage measured directly on battery indicates 4.20 V when the LED is green. I was looking for this exact setup... connecting 1 or 2 6V solar panels to a battery charger and being able to run a Wemos D1 mini weather station (rainmeter+DHT22). is your system still running OK? any problems with 18650 battery management? I don't have any problems with it. Just make sure to put the wemos in deep-sleep since you don't need to be running all the time. Getting temperature every few minutes is perfect, even in the cloudy days. Also make sure that you seal tight all the assembly. The solar panel in direct sun is getting pretty hot so isolate it well. Maybe you can put it over an aluminium plate to dissipate the heat. 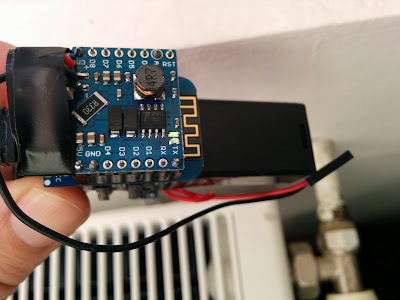 you can add an extra temperature sensor like DS18B20 to monitor the temperature of you panel. And btw, the blog about Manaslu is awesome !!! Hi do i really need the diode? When i connect the 18650 battery and nodemcu it works. when i connect the 18650 battery the solar panel to the shield and from there i take the 5V and GND output and connect it to VIN GND of the nodemcu it doesnt work. Do you this it could be the diode the problem ? thanks in advance! The blocking diode is mandatory. It amuses me that, on your main board, you only solder in the pins you need to use. I thought I was the only one! Yes :-) is much easy to remove the connector later and use the module for other projects.